Jacob Casella is a junior at DGS and is the Social Media Director for the Blueprint. He has been a member of the speech team at DGS since his freshman year. Casella competed at the IHSA State Final in speech his sophomore and junior years. He is also a member of the Madrigal Singers at DGS; part of the drama club, Masque and Gavel and is in NHS. Casella would like to attend University of Texas at Austin, University of Michigan or University of Wisconsin Madison and would like to major in a communications/journalism field. In his little spare time, he enjoys going shopping at the Oakbrook Mall and watching VH1’s RuPaul’s Drag Race. Casella also has an obsession with Dolly Parton, and he was the country-icon for Halloween in 2017. Casella volunteers as an English tutor at DGS. 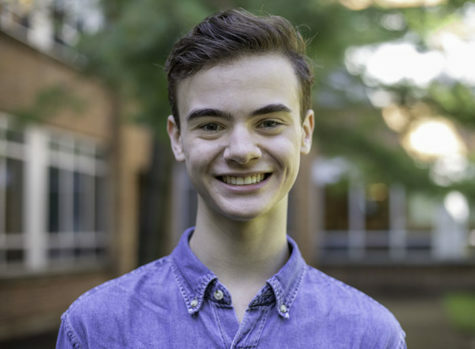 He is described by his friends and family as “a lot,” “loud,” and “extra.” Though Casella is very “extra,” he is not afraid to be serious when needed to, and he loves to conquer a challenge.